Put Out the Welcome Mat for Angel Investors! I’ve been involved in Angel investing for over 20 years, so the process seems simple, although the relationship part is never simple. I forget that it comes across as a strange world to those who have not participated in this process. I was reminded recently that there is no easy way to get inside this world, and I want to help change that because New Hampshire needs more active angel investors! As I participate in Northeast Angels Investment Group, the Live Free and Start Advisory Council, and other entrepreneurial efforts and programs in the state, I am officially putting out the welcome mat! To help demystify angel investing, I’ve answered a few questions below. What is Angel Investing in New Hampshire? It is putting in some of your own funds in exchange for debt or equity ownership in an early stage business. Angels make the decision to invest or not to invest based on individual preference, while also looking at the homework done on the industry, the company, and the team. How do we work within Angel Groups in New Hampshire? Generally we see presentations from two or more entrepreneurs seeking funding at monthly meetings. We have the opportunity to ask questions, spend time with the entrepreneur, discuss among members, and read company documents and examine any related paperwork in detail. Some groups lead investments, some act as follow on groups for other more established groups, and some do both. Who qualifies to be an Angel Investor in New Hampshire? Those who qualify as accredited investors can participate in groups. I often meet individuals who do not consider themselves accredited investors, and they are surprised when, after discussion, they find they meet the criteria. Even if they are not accredited investors, under current NH security laws there are some instances when non-accredited investors can participate in early stage ventures. If you have interest in angel investing this is worth a discussion! Women have not participated in great numbers in angel investing. We currently have a project underway through Live Free and Start where we are trying to change this. We are working on our first event, a Breakfast for Women Accredited Investors on September 27th. If you are interested in being on the mailing list or attending this first event, please send a note to Liz Gray, our Director of Entrepreneurship leading the Live Free and Start initiative at connect@livefreeandstart.com. If you are interested in learning more about the Northeast Angels Investment Group or angel investing in general please send me a note at hollis.mcguire@unh.edu. September 22nd Investing in NH Forum, Littleton, 4:00 – 7:00 p.m.
September 27th LFS Women Investor Breakfast Event, Portsmouth, 7:30-9:30 a.m. – by invitation only, email connect@livefreeandstart.com if interested. October 13th Investing in NH Forum, Keene, 4:00 – 7:00 p.m.
November 1st Investing in NH Forum, Plymouth, 4:00 – 7:00 p.m. If you like this content, please share! NH Small Business Development Center Hollis’ experience spans over three decades and includes being a business owner, controller, finance manager, and product manager for traditional and high technology companies. 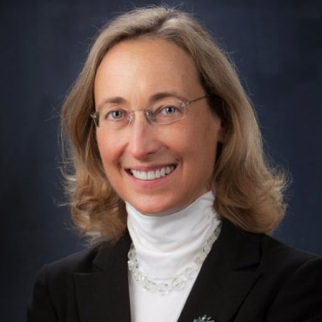 She serves on the board of Northeast Angels Investment Group and is a past board member of the New Hampshire High Technology Council and the Rockingham Economic Development Corporation. She has been a frequent lecturer, speaker and author on business topics concerning emerging business.